The team’s challenge was to research what kind of possibilities robotic process automation (RPA) could offer for the communications department at Finnish Tax Administration. RPA can be a powerful tool for automation of routine tasks. However, it is not applicable for complex processes requiring problem-solving skills. In addition to RPA, natural language generation has big potential for the future of content automation. Finnish Tax Administration can adopt RPA to help them speed up routine back-office tasks, which will help them offer better service for their customers. To showcase the opportunities RPA, the ITP team built a working prototype of a software robot for reporting taxation figures. 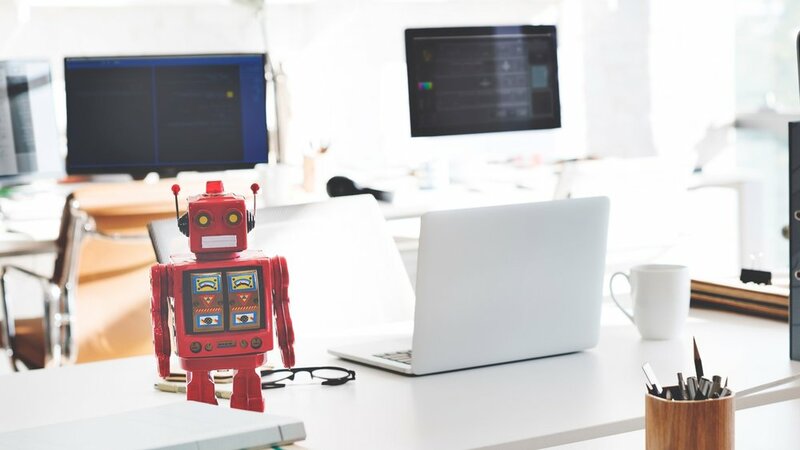 During the project, the ITP team did an extensive study into robotic process automation and the opportunities the technology offers for businesses. To understand the current use cases of RPA the team also did benchmarking from several cases where RPA is used for communications, both internationally and in Finland. The team discovered that RPA technology can bring significant benefits to organisations through e.g. enhanced work motivation, increased productivity, fewer human errors, and faster routine operations. Due to RPA’s limited capabilities in complex tasks, the team also introduced the possibility of combining it with artificial intelligence, specifically natural language generation, to further automate content creation in the future. Based on their findings the team created a suggestion for adopting RPA technology into Finnish Tax Administration’s communications department. They proposed several tasks where automation could help Finnish Tax Administration’s communications work. The concept was introduced through a working prototype of a software robot that demonstrated especially the time savings of automation.